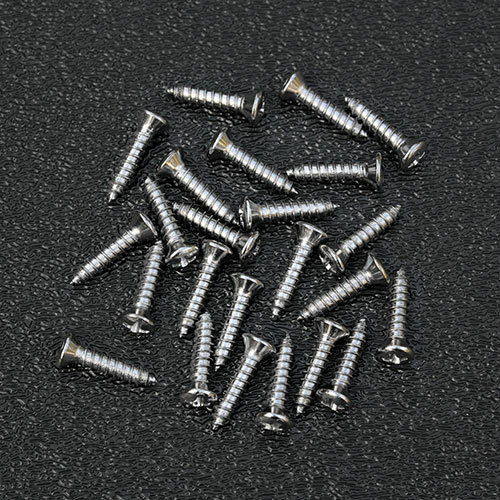 Genuine Fender® chrome pickguard mounting screws. Also used for output jack plate and back plate mounting. Sold in packages of 24 screws. Size: #4 x 1/2" in length. Type: Oval Phillips head (Standard Fender® style).